A Reverse Osmosis (RO) feed & bleed for the removal of the remaining non-biodegradable COD, maximal reduction of TN/NO3-N and most of the dissolved salts. The Reverse Osmosis ensures that the strict outlet requirements will be reliably observed. 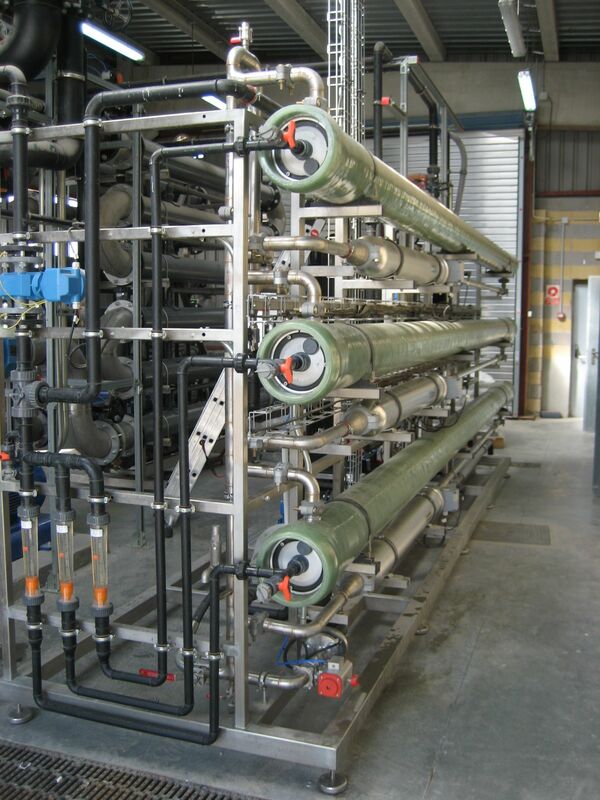 The Reverse Osmosis (RO) will effectively and with a high yield (> 90%) remove all impurities, remaining particles, unwanted salty components and/or toxic and harmful substances such as, for example, heavy metals or nitrates. The RO will guarantee that the purified water can be used as potable water or can be re-used for example as boiler feed water and/or process water.